“What is a valley?” the teacher asks her students. 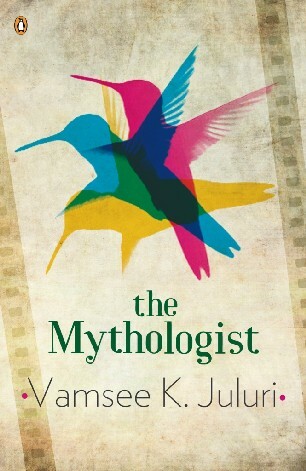 “Vali is brother of Sugreeva!” shouts Parashuram, the narrator-protagonist of Vamsee Juluri’s The Mythologist. And small wonder, for the boy’s favourite myths and legends buttress him from the banalities of the real world. When he first comes to boarding school, his grandfather helps him settle into the unfamiliar surroundings by layering them with familiar stories. This tree is the home of a kindly asura who will give you shade; these steps are from Lord Krishna’s palace. The library is the magical cave where Krishna fought the bear Jambavanta to recover a precious gem. For those of us who became avid readers at an early age (discovering our own precious gems in libraries, so to speak), there’s nothing unusual about any of this; we know what it’s like to live in multiple universes at once. But Juluri’s novel is about a person who is often incapable of distinguishing between fantasy and reality, with troubling consequences. Much like his mythical namesake, this Parashuram has an axe to grind...with the real world. He never quite succeeds in shrugging off his childhood’s great tragedy: he had dreamt of playing a little God in a film made by his director-grandfather – and co-starring the Telugu superstar SLM – but the movie never got off the floors and he resigned himself to a life of obscurity. His subsequent story – most notably his acquaintance with a mysterious woman named AK, a wheeler-dealer who takes him under her wing and arranges for his transit to America – is set against real-life political events ranging from the 1970s (the Emergency in India) to the 2000s (the World Trade Centre attack in New York). There’s promise in this narrative and the passages about Parashuram’s childhood are fairly engaging, with their glimpses into the world of theatrical politicians, deal-making, myth-making and child-stars who grow up too soon or never grow up at all. One gets a sense here of the various ways in which myths can become controlling (even petrifying) symbols for contemporary lives and issues: Big Grandfather, we are told, was a patriot who once screened a film about the churning of the ocean to drum up support for Mahatma Gandhi’s Salt March, and a former child star named Kumari is forced into the role of political nemesis for SLM, based purely on the roles they had once played in a mythological drama. 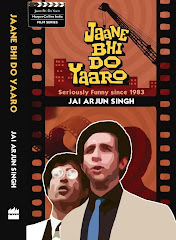 But as Parashuram grows into an adult and becomes a copywriter for a San Francisco-based marriage bureau, it feels like Juluri is taking on more than his canvas can accommodate. This culminates in a forty-page chapter, late in the book, where the paranoid Parashuram – convinced that he has become a fall guy in a huge terrorist plot – writes a mythical story of his own, involving a Great Goddess, a Lake of Hearts, Medusa, hummingbirds and assorted other creatures. This section is full of mumbo-jumbo about the complicated relationship between Truth and Power, and figuring out exactly what it means and how it relates to Parashuram’s real-life circumstances is more trouble than it’s worth. Equally problematic is the book’s erratic pacing, and its occasionally tiresome style. Parashuram has a fondness for self-consciously staccato sentences (“Which Krishna? Did you ask? LORD Krishna. God. My childhood friend. Him only. None other”) and his frequent referring to himself as “I, Parashuram” becomes grating after a while, even though it might be thematically justified on the grounds that it echoes the bombastic language used in most Indian mythological movies. Ultimately, The Mythologist is undone by over-ambition coupled with a lack of focus. At its best, it shows the promise of becoming a Walter Mitty-like tale about a rich interior life, but it never quite gets there. How come you never reviewd 'Mera Gauon Mera Desh'? But it sounds like a fascinating story for a film. No? Haven't read the much acclaimed Thurber novel. As far as movies go, I can readily recall two great films concerning rich interior lives - The Seven Year Itch and Unfaithfully Yours. Banno: possibly, but the quality of the film will as always depend on the people who make it, rather than on the inherently cinematic possibilities of the story. Have you read the book? Any suggestions for who might be the appropriate filmmaker for this material?